Basic Space Gallery was found by artist couple, Christopher Roberts and Kenneth Saylor in 2014 in Portland Oregon. Basic Space Gallery has found two homes in Portland Oregon. The gallery found its roots in Portland's Old Town/Chinatown neighborhood, where it started by showing local Portland artists, mainly focusing on showing one month solo exhibitions. Some of the artists you can find in the gallery that are represented today, built their first relationships with the gallery in its infancy during 2014-2016. The gallery has shown large exhibitions for Portland Open Studios and a few charity benefits. In the two years the gallery was located in its early home, they showed over 300 artists locally, nationally and internationally. In 2017, the gallery had an opportunity to relocate in the heart of the Pearl District's art 'mecca' in their current retail space on 9th and Everett. The gallery represents over a dozen artists and continues to work with charities around the city. 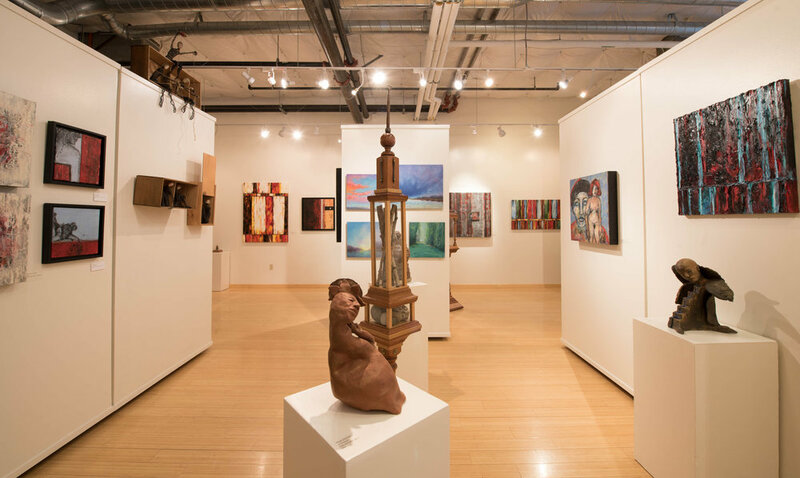 The gallery showcases media; covering paintings done with oil, cold wax, acrylic, watercolor, gouache; sculptures of ceramic; drawings in pen; handmade jewelry; hand painted silk ties; performance art; installation; etc. The gallery always look at having items available from entry level collectors and renowned art aficionados, as access to artwork should be very every person, because after all, art does heal any wound.